Uniform Extent: An extent whose all 8 pages are filled or reserved with one Table data is referred as uniform extent. Mixed Extent: An extent whose 8 pages are shared by multiple objects is referred as a mixed extent. 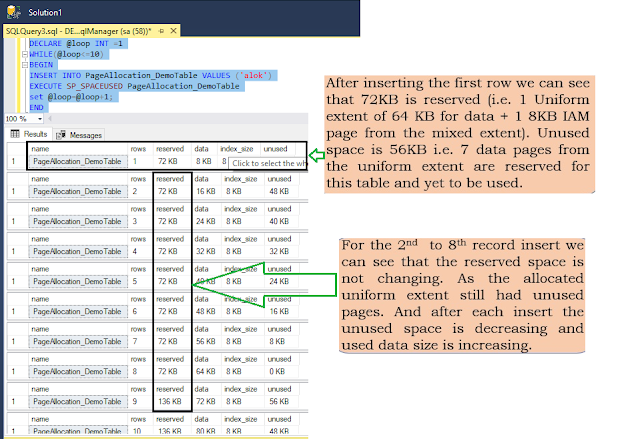 Data is stored on an 8KB data pages and a set of 8KB sharing data pages form an extent of 64KB in Sql Server database object like Table and Index. · In user Database or An database that is created by use that is by default will get the pages from the Uniform Extent in Sql server 2016. We can change this property by using MIXED_PAGE_ALLOCATION with ALLTER database. 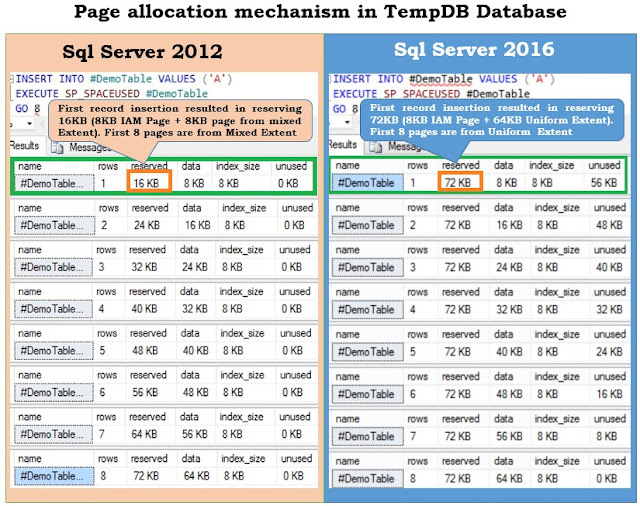 · TempDb database will get the pages from the Uniform Extent by default and there is no option to changes or override this paging allocation behaviour. Here I am create new table “PageAllocation_DemoTable” in this table I will insert records. Following is simple script to create table.